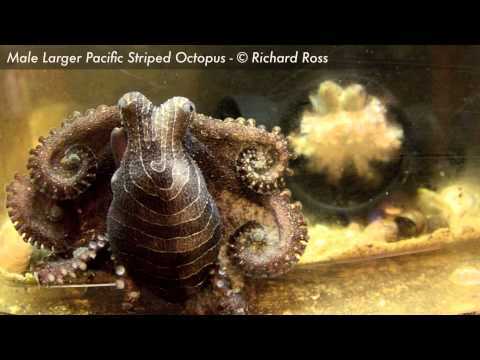 The Larger Pacific Striped Octopus may be the only species of octopus that mates ‘beak to beak’, which poses danger, mostly for males, as the female will often cannibalize her mate after the ritual is complete. California Academy of Sciences senior biologist Richard Ross has issued a spare bedroom in his Alameda home to five of these octopi (3 males, 2 females), which were unknown to science until twenty years ago and still have no scientific name but are currently being referred to as the “Larger Pacific Striped Octopus”, whose size, at 8-10 inches, does not quite reflect their name. Erick Higuera was awarded the 2013 Stan Waterman Award for Excellence in Underwater Videography for this short film about the tremendous range of biodiversity that exists in the waters of Baja, Mexico, which took him a year to complete. Seeking asylum from an uprising of communal violence along the Burma-Bangladesh boarder, 32 Muslim refugees were picked up by Sri Lankan navy reported that their vessel failed at sea and they had gone without food for 21 days. During the course of their months adrift they say that 98 of their crew passed away, and that all of whom were sent to the sea. Next Tuesday, February 19th, the Son of Rogues Gallery will be releasing a collection of pirate ballads, sea songs and chanteys which will feature Dr. John, Sean Lennon, Ivan Neville, Iggy Pop, Macy Gray, Nick Cave, Frank Zappa and the Mothers of Invention and Marianne Faithfull and others, including collaborations by Tom Waits and Keith Richards on the traditional “Shenandoah”, and Johnny Depp and Shane MacGowan (of the Pogues) on “Leaving of Liverpool”. A 29-person lifeboat was discovered after it washed ashore in Australia about 2 years and 5,000 miles from the Nightingale Islands (just south of Tristan Da Cunha) where she was deployed after the bulk carrier M.S. Oliva ran aground in March of 2011. This 25-year-old sea turtle named “Yu” was rescued along the coast of Japan after she may have lost its front fins to a shark. Scientists at the Suma AquaLife park in Kobe have been testing new fittings and after constructing 26 different fins, they may have finally given her a second fighting chance.